Prime Minister Nikol Pashinyan today met with participants of the operative meeting of the leadership of the Armed Forces at the administrative complex of the Ministry of Defense, reports the news service of the Prime Minister, according to NEWS.am. Greeting the participants of the operative meeting, Prime Minister Pashinyan stated that the meeting serves as a good opportunity to discuss various issues related to the country’s development agenda. 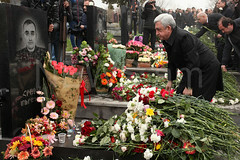 The head of government touched upon the current state of the Armenian economy and talked about the steps being taken for an economic revolution and the model of economic development, emphasizing the fact that the favorable economic situation will contribute to speedy solutions to the current issues of the Armed Forces. 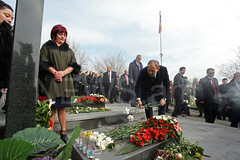 In this context, Pashinyan presented the activities that the government is carrying out to create favorable conditions for military servicemen and solve their social issues. 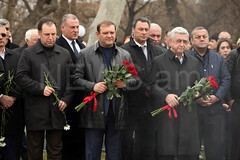 In response to the questions from the participants of the operative meeting, Prime Minister Pashinyan touched upon the challenges facing Armenia in terms of foreign policy, the military-political situation and developments in the region and provided details about the negotiations over the settlement of the Nagorno-Karabakh conflict and his recent meeting with the Prime Minister of Georgia and more.